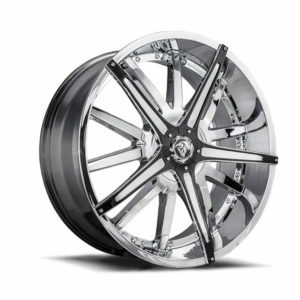 It’s crazy how good these 26″ Diablo Dagger wheels look on a Cadillac Escalade. The details are perfect with the vehicle’s lines. While doing this shoot, we had so many people walk up and ask about the rims. This sometimes happens, but it was obvious this shoot that people were impressed.